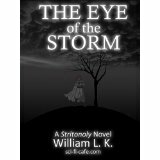 BigAl's Books and Pals: Eye of the Storm / William L.K. William L.K. lives in the suburbs of New York City. He earns his living as a professional musician (imagine Billy Joel’s Piano Man). In addition to the Stritonoly Chronicles, a series in which this book is the first installment, he has published a novelette, The Voice, available for your Kindle, which we reviewed previously here. Dmitri, son of the Czar of the planet Stritonoly, has an addiction that, unknown to the rest of the royal family, has driven him insane. The repercussions of Dmitri’s actions threaten the entire planet. This is the first book in the Stritonoly Chronicles, a series that continues with Barok’s Exodus with at least one more book on its way. Assigning Eye of the Storm a genre was problematic for me. It might be science fiction. It mostly takes place on Stritonoly, a technologically advanced planet, at least in most ways. Among other things, they have a space ship capable of shuttling large numbers of people between planets. However, a small portion of the story takes place on Earth in a contemporary setting. In addition, some of the technology on the planet Stritonoly is not advanced at all; for example, the sword is their weapon of choice. The sword as a weapon and much of the world the author has created seem more fitting for a fantasy setting, including a strong mystical or magical element. The catchall genre for science fiction and fantasy is speculative fiction. This is the logical genre assignment; however, those who prefer one of these sub-genres, especially fantasy, should still find Eye of the Storm a good fit. The basic story is an archetype; overcome by a lust for power a character cuts corners and makes immoral or unethical decisions to gain that power. The author does a good job integrating the story archetype into the world he has created with appropriate variations to make the story his own. His characters are well formed and drive the story. He finds a way to make acidels, a race of slave creatures that are unattractive, sweaty, and smelly, still likeable – the reader caring about the acidels is, if not a requirement, definitely helpful for drawing the reader into the story. In the final analysis, what genre a book fits in isn’t important. That the characters and story engage the reader is all that matters. The Eye of the Storm does this and does it well. Great review, Al. 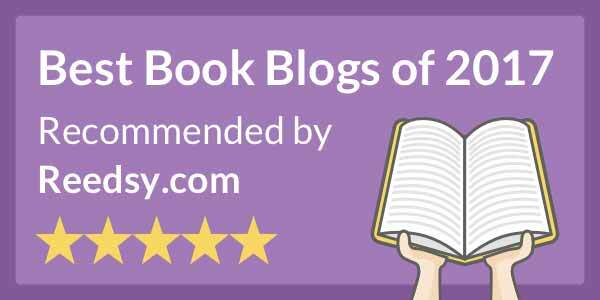 Thanks for bringing this book to the attention of readers! You said, "what genre a book fits in isn’t important. That the characters and story engage the reader is all that matters." Love this observation! It's so true. I would personally consider the book a sub-genre called Sword and Planet (a term first used in regard to the Mars books of Edgar Rice Burroughs). You mentioned that the book isn't available for the Nook. All sci-fi-cafe.com eBooks are available in ePUB form and therefore those Nook owners (or any other device for that matter) who want a copy will also be able to buy it. Soon available from a huge number of major outlets throughout the world in both MOBI and ePUB formats. Sounds like it's worth a read. One of the things I like to do is to go beyond the boundaries of the genres I love. As a reader and a writer it is important not to become hidebound. Well, I’ve never heard of “Sword and Planet” as mentioned above. I think that that is a term created somewhere by someone who was new to the speculative fiction genre. The term goes back to at least the 1940’s or more. This sounds interesting--the title sounds sort of "traditional mystery" so I don't know if I would have noticed it without this review, but it sounds like my kind of story! I would to read it, sounds great! Thank you all for taking part in this giveaway! A special thanks goes out to Big Al for hosting it. If interested, all my books can be found at sci-fi-cafe.com including a new vampire novelette that will be released this weekend. Please feel free to leave any questions or comments and I'll be sure to respond asap. Isaac Asimov has nothing on William L.K and his writing style. I have thoroughly enjoyed reading about the sweaty little Acidels and continue to root for them. There is a slight problem with sweat but I will leave that up to reader to discover what the problem is. Let us just say that no amount of antiperspirant will take care of the problem. Excellent review! Sounds like an exciting series. You had me a "sword". Any number of speculative fiction works can utilize this weapon. David Weber has used it with great success in his "Honor Harrington" universe and that's pretty, hard-core, military SF. The term "Sword & Planet" has been around since the 1960s, though it sounds like this novel might be more in the vein of a "plantery romance" or "Space Opera", with the strong magical/mystical elements and the character's drive for power. I look forward to reading it.